Rosalio ‘Ros’ B. Arcilla, Jr. He obtained his BFA from the University of the Philippines in 1960m and pursued advance sculpture at the University of Hawaii in 1975, after which he cabame a scholar of the French government at the Ecole de Beau Arts in Paris. He won the Grand Prize as well as the First Prize for “The Dream” at the AAP annual in 1978. 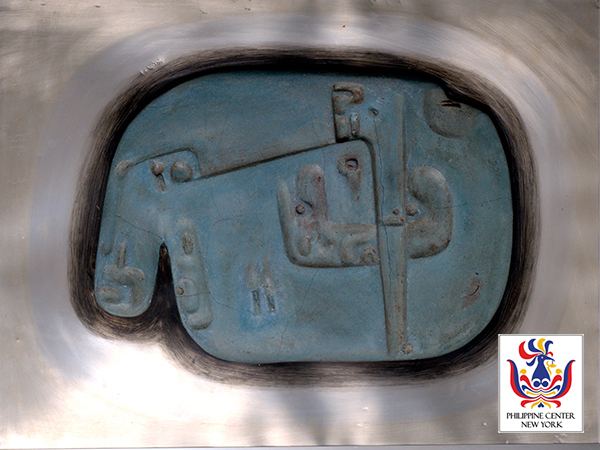 He taught sculpture at the UE, and was a board member of the Society of Philippine Sculptors. Art historian Santiago Pilar wrote that he is best known for his figurative abstraction in bronze. His forms are schematized into the essence of the subject, mainly along geometric simplification.” In 2001, he was commissioned by the Cheng family to do the bronze bust of Senator Benigno Aquino Airport in 2008.